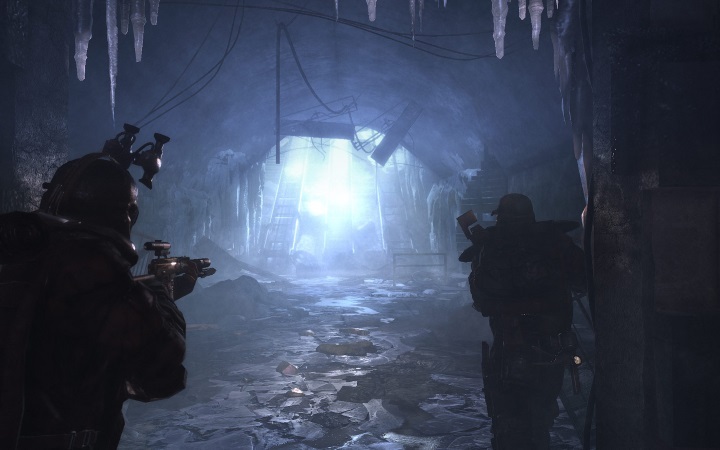 Back in 2016, Metro fans were ecstatic when news broke out that a movie based on the Metro 2033 novel was getting made, and that it would hit theatres sometime in the future. But sadly, it seems the film isn’t actually getting made (at least for the time being) with the book rights now going back to author Dmitry Glukhovsky. In an interview with VG247, Glukhovsky explained why the MGM-produced movie did not move ahead, detailing the things he was unhappy with about scriptwriter F. Scott Frazier’s adaptation, who planned to set the film in Washington D.C.
“In Washington DC, Nazis don’t work, Communists don’t work at all, and the Dark Ones don’t work. Washington DC is a black city basically. That’s not at all the allusion I want to have, it’s a metaphor of general xenophobia but it’s not a comment on African Americans at all. So it didn’t work”, Glukhovsky told VG247. Glukhovsky also took issue with the fact that the Dark Ones (a species descended from humans which inhabit Metro 2033’s post-apocalyptic world) would be depicted in a very different way in the movie, with the film missing the book’s xenophobia theme. “They had to replace the Dark Ones with some kind of random beasts and as long as the beasts don’t look human, the entire story of xenophobia doesn’t work which was very important to me as a convinced internationalist. They turned it into a very generic thing”, said Glukhovsky. Glukhovsky also said that given the fact that the books and games have sold millions of copies worldwide, the film could still be a success even if it’s set in Moscow, and is now talking to other producers in a bid to see his book be turned into a movie. “So currently we are speaking with a new set of producers about a possible adaptation but this is a very long and difficult process. I’m still optimistic. We’ll see if the release of Metro Exodus can push the IP across a little bit the oceans and see how that works”, Glukhovsky said. Certainly, setting a Metro movie in the US does seem odd – surely the games have been more interesting as a result of being set in Russia. And if the next game in the series Metro Exodus (which is hitting shelves next year), does turn out to be a success, perhaps Glukhovsky will have a better chance of convincing whatever movie producer picks up the rights to Metro 2033 to let him set the film in Ruskie land. For the time being though, it seems we’ll have to wait a bit longer in order to enjoy a movie version of the post-apocalyptic novel, so here’s hoping the next video game instalment does turn out to be something special when it’s released early next year.